The legend of The Killers goes like this: Brandon Flowers responded to guitarist Dave Keuning’s classified ad in Las Vegas Weekly. Dave handed Brandon a four-track demo of “Mr. Brightside” and the rest, as they say, is history. 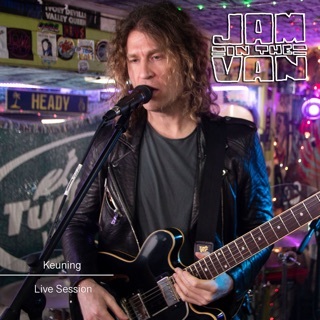 Five smash albums and multiple world tours later, Keuning took a break to explore his musical passions outside of his day job. Prismism are songs recorded in his San Diego home studio. 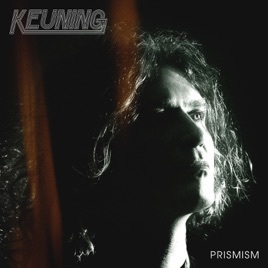 Tracks like “Boat Accident” and “Ruptured” reveal Keuning’s love of keyboard-based rock and pop. The songs are intimate, lush with pretty melodies and lyrical origami. “I Ruined You” and “Restless Legs” feel the most Killers-ish, with their guitar attacks and rumbling beats. Meanwhile, “If You Say So,” the acoustic “Gimme Your Heart,” and the vocoder-heavy title track show that behind The Killers’ stadium hits resides a restlessly creative beast. Really good. Makes me wonder if Dave is what I’ve always loved about The Killers. Why was this not Wonderful Wonderful? I was skeptical about his solo project but Dave knocked it out of the park!! This album is really good. It reminds me of what the Killers used to be before they declined a bit and put out Battle Born and Wonderful Wonderful. The only thing that could make this album better would have been some of Brandon Flowers’ vocals especially on Boat Accident and The Queen’s Finest. While we are at it Ronnie on the drums would have been great too! With any luck the Killers will follow Dave’s lead on their next album and hopefully Dave and Brandon will play some of the songs from this album together one day soon on tour! How some of these weren’t good enough to be on a Killers album is ridiculous.